In the final major economic report before Tuesday’s congressional elections, the government said Friday that U.S. employers added a robust 250,000 jobs in October. 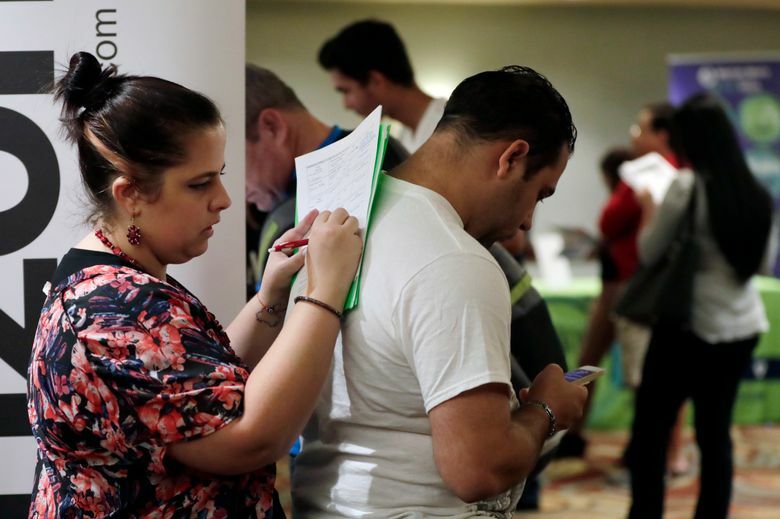 The unemployment rate stayed at a five-decade low of 3.7 percent. Even so, October’s increase suggests that after a decade of anemic growth, wage growth is picking up. At the same time, an influx of new job-seekers increased the proportion of Americans with jobs to its highest level since 2009. The economy has now added jobs for 97 straight months, a record. That steady hiring has helped reduce the unemployment rate for Latinos to 4.4 percent, a record low. Teenage unemployment dropped last month to 11.9 percent, the lowest since 1969. And the proportion of Americans without a high school degree who are working has reached the highest point on records dating from 1992. Becky Frankiewicz, president of staffing firm ManpowerGroup North America, said companies are trying a variety of strategies to fill jobs. Many retailers are removing the label “seasonal” from their job postings and looking for permanent workers instead. Others are dropping their requirements for a college degree. “We absolutely see employers getting more and more creative about ways to get people in,” Frankiewicz said. So far, though, inflation remains in check. The Federal Reserve’s preferred price measure rose 2 percent in September compared with a year earlier, slightly lower than the year-over-year increase in August. This story has been corrected to show that teenage unemployment fell to the lowest since 1969 last month, not the lowest on record.